It’s been a busy week as always at Nav Coin HQ. We have landed the final piece of the NavPi units so we can begin to build and ship batch 3 in the coming days. We’re steaming ahead on Polymorph and also looking to add some new developers to the Auckland team. The NavPi Boards have arrived in New Zealand customs and are currently being processed. We have updated the NavPi image to version 1.0.2 which comes with the 4.0.5 version of Nav Coin Core and the blockchain synced up to the 27th of September. Tomorrow we will begin to flash the cards and by the end of the week we will be building the physical units. Shipping will commence next week and will be shipped in the order the orders were received. Our previous shipping handler has proven to be less than perfect with a few shipments getting lost on their journey. We have opened an account with DHL and hope to provide tracking & insurance for all future shipments. We will update the store with corrected rates once we are provided these from our DHL business manager and will attempt to offer tracking for existing orders if the cost difference isn’t huge. We only have about 35 more units available in this batch, so if you would like to get your hands on one make sure you head along to the store and pre-order. We’ve made some great progress on polymorph this week with another three user stories completed and four bugs fixed. These issues are currently sitting in the code review pipeline and are expected to be closed tomorrow and integrated into our master branch. We’ve also setup a staging server so our Digital Strategy & Design teams can begin to look over what we’ve built and start to shape the aesthetic and user experience of Polymorph. This sprint will consist of the last of the bug fixes and front end work while next sprint we will change gear and begin to plan and scaffold the back end which will process the incoming transactions returning from Changelly. While we are making good progress on all our major projects, we realise that we have a lot of work on for our reasonably small team and have decided to expand the Auckland team again. We have begun interviewing Senior Developers in Auckland to join the Nav Coin team on either a part time or full time basis to work with Craig & Matt at BizDojo. We are also looking for more people to support our marketing efforts moving forward and will keep you updated as things unfold in that area. NavTechServers have added their own third party NavTech Server cluster which is now open for public use. You can choose to use this server by adding its IP address through the Nav Coin Core wallet’s dialog on the send page, or by adding it to your navcoin.conf file in your user data directory. The server is aimed to cater for low volume transactions but also has an extremely low fee. For more information on this cluster or any of the other NavTech clusters available for use, visit their website. To help grow our international community, we’re also working with our Spanish & Chinese members to build full translations of the main website. At the moment we have a single page overview for both of these languages, but are now creating full websites that will exist on their own subdomains. We are in the final process of setting this up, and once we get a final approval from the community we will aim to get at least one of these live in the next week. Having fully translated websites will greatly help us for our marketing efforts, and we will start by adding these domains into our community Adwords campaign (targeting Spanish/Chinese users). This brings us to a total of 11 different languages, and we also have another 3 languages being worked on — including Russian & Korean translations. We are also aware that the Nav Coin forum is proving difficult for users to log in to. We are working hard to track down the issue causing the failed logins and hope to have this all working again in the coming days. This is our main technical support channel, so we realise the urgency of getting this working again. Please bear with us as we resolve the issue. This week the Nav Coin Team activated a community vote to get NAV on Binance, commenced building the third batch of Nav Pi, launched a full Español version of the Nav Coin website and fixed the login issue on our technical support forum. It’s been a busy week to say the least! Nav Coin is in the running to be added to Binance, one of China’s largest Alt Coin exchanges. We have been accepted into their community coin voting initiative which will see the top voted coin get added to their exchange. The voting is only open for one more day (closes 5 October) so make sure you go and vote for Nav Coin today! Last month they added more than just the top voted coin, so even though it looks like we won’t finish with the most votes, it’s still worth casting your vote to show your support for Nav Coin. Every vote helps to build our case for being added. To spread the word about the voting, we are also running a Retweet Competition on twitter where you can go into the draw to win 1000 NAV. For more information about how to vote and how to enter the competition please visit our website. The Raspberry Pi boards have finally arrived on our doorstep which means we have started the build process for NavPi Batch 3. The first shipment will be leaving for their destinations tomorrow morning. We have secured a new shipping method which should offer tracking to some of the destinations we ship to. We will be adding this option to the store once the zone rates are confirmed for people to choose moving forward. We will be updating the order status as the items ship out, so please keep an eye on your email and order over the coming days. We hope to clear all pre-orders by the end of next week. We have been working hard to encourage people from all over the world to use Nav Coin and to be a part of the cryptocurrency revolution. As well as our single page translations in many languages, we have started to work on full translations of the website in our most popular languages. The first full translation we have achieved is Español. Native Spanish speakers are a huge part of the Nav Coin community. Behind English speakers they are our next largest sub-community when grouped by language. We are please to be able to connect with this community more and we hope to expand the other languages we support in the near future. Over the last month or so the software that runs our technical support forum has been experiencing an issue where users were no longer able to login to the forum. New users or users who reset their password were able to login via the confirmation link in their email, but using the login form would not work. To make this issue even more difficult to debug, there were no errors being reported by the server and no other sites using the same software were reporting this issue. After a lot of debugging, reinstalling, upgrading, migrating and head scratching we’ve managed to get the forum working again and up to date with the latest software release. Our senior community members can once again login to help you with your technical difficulties. Don’t forget to search the forum for your issue before posting because chances are, someone else has had the same issue before. Our development team have continued progress on Polymorph this week with another 10 points of stories completed in the sprint. Polymorph progress will slow a little over the coming sprint as we build and dispatch NavPi’s to the waiting customers. Finishing the NavPay beta release has been held back by some of the urgent tasks at hand like making sure we have a working support channel. Now that these are completed, the dev team will be focused on finding and resolving the issue blocking the beta release of NavPay and getting this underway as soon as possible. It’s been an eventful week for both the Nav Coin Team and Community with some big achievements made on our major projects. 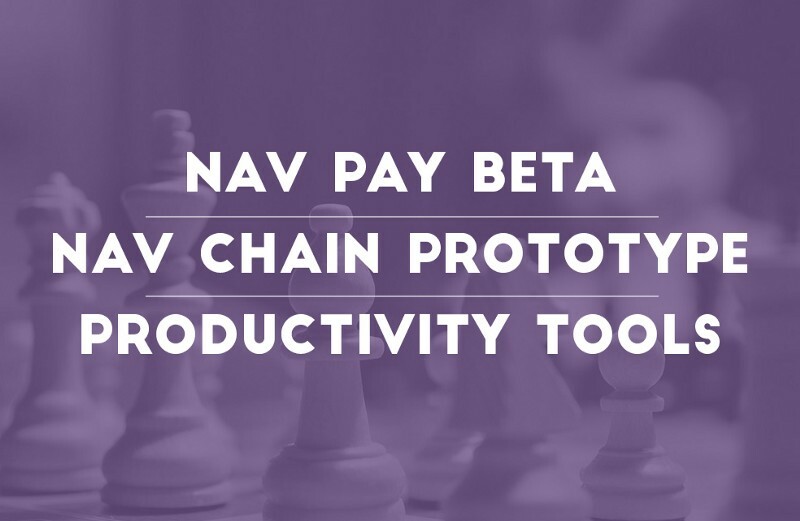 During this week’s AMA on Discord the team announced the Nav Pay Beta will start today and revealed some exciting information about the upcoming Anonymous DApp platform dubbed “Nav Chain”. Today we are launching the beta version of our NavPay wallet family. The NavPay wallet is a fully qualified thin client that can run on Linux, Windows, Mac, iOS, Android, Chrome and even online. It gives you all the latest features of NavCoin including NavTech Private Payments, making it the world’s first mobile cryptocurrency wallet capable of sending anonymous transactions. The beta test will be run in two stages with an initial group of 20 participants who will thoroughly test the wallets capabilities on the a range of platforms and devices. After this initial test group have logged any issues and the development team has deployed the relevant fixes, we will be opening the public beta. The reason why we’re doing it in stages is purely logistical. Resolving any remaining issues within a smaller group makes it easier for us to manage feedback rather than potentially being inundated with duplicate tickets from thousands of users. That said, we’ve done a lot of internal testing already and any issues which doe remain are likely to be small and device specific. We are expecting to move out of the closed beta within a week if everything goes as smoothly as expected. Here’s a quick preview of NavPay in action making a NavTech Transaction. We had a very successful AMA on Monday, with 6 team members hanging around for an hour and a half, answering questions from the community. Now adapps planning is complete when might we expect the release of the white paper? We have finished the planning stage of the Adapp platform and are really happy with the feature set we have designed. We have added a roadmap task to begin work on the “Nav Chain” prototype which is the working title for our Adapp platform. We have largely finished the whitepaper but it is with our technical writers and design team right now to do the finishing touches. We also want to create some other supporting documents and content to support its release. When might we see navtech 2.0 end of year 2018? Or sooner? Can you share what could be one of the first proposals the dev team would make for use of the community fund? We will be looking to create proposals around our roadmap projects. So we can create a proposal for building Cold Staking implementation for example, or finishing Polymorph and use the community fund to sponsor these projects. Beyond that, the fund system will be open to the public to submit proposals also, so it’s really up to what the community wants to get involved in building. All navpi are sold out is what is done about it? Or sales points could be set up in the countries offered for faster processing. And as a reminder, we’ve started migrating from using Slack to Discord — primarily because of the better safeguards around spam, which is a huge problem for a significant number of Slack channels in crypto at the moment (and has led to people losing money). The Community Vote has entered its third voting period and is going well so far with over 92% of people who have upgraded voting “Yes” to the community fund. However, there is still a significant number of people using old versions of the Nav Coin software, which means they aren’t eligible to have their say on the Community Fund. Our Adwords account has been running the community banners since September, and it’s been consistently performing quite well. Our banners have been seen over 1,000,000 times, and we’ve had 20,000 clicks to the Nav Coin website as a result of it. Banners are famous for receiving quite low click through rates (generally around 0.1–0.4% on average), so it’s encouraging to see such high engagement even after running for 2 months. We’re paying a very low cost per click of $0.02 (per visit to the website) — so have spent a total of $461 so far — meaning we still have a significant amount of budget to spend in the coming months. This week has seen the Nav team in planning and strategy mode with the welcome on-boarding of Kieren, Paul and Laura and talks about further team expansion have begun. NavPay Public Beta continues as we iron out the creases proposed in the public beta with our private beta teams on GitHub. Our community fund vote continues as our targeted updating reminders start to reach our quieter community. We have officially welcomed Kieren, our new full time marketing manager, at the Nav HQ along with Laura our creative director, and Paul our new senior developer. This has launched us into planning mode, knocking over some major strategy sessions as well as implementing key workflow processes to ensure time optimisation and productivity. With our new team members finally on board, we have really shifted gears and are excited to work towards major milestones with our fresh, accelerated team spirit. There’s discussion in house of our current staff coming on board full time in the new year, as well as further team expansion to accommodate for our upcoming projects and product launches. We have been busy this week addressing the minor issues raised by the public beta testers through the GitHub issue tracker. Since launch, we have resolved 9 issues and received 1 pull request for the russian translation which is under review. As well as resolving user initiated bugs, we have been working on a few neat enhancements which will make using Nav Coin and Nav Pay even easier. These new features and bug fixes are being bundled into version 1.0.3b which will be released to our private beta test group. The next public release of NavPay is expected to be the full release next month. We couldn’t do these without the help of our amazing community. If you would like to offer your services to translate our website into your local language, please contact our marketing team. Our community vote is still running as our targeted reminder efforts continue to reach those who might not follow our social channels and hence miss our persistent update reminders. There are still a large amount of people still using old versions of the Nav Coin software (around 40% of users total), which means they aren’t yet able to participate in our Community Fund poll, keeping us just under that 75% threshold (around 65% currently). We are doing our best to reach these people and inspire them to update their software and cast their vote as well. We’ve already had an overwhelming response to the community fund with over 92% of people who have upgraded their wallets voting “Yes”. We are excited to learn that our core community is onboard with the vote, and are looking forward to watching the final results as we rally the remaining voters to upgrade their wallets and have their say. Follow these simple steps to get up to date with all the latest software and have a say over your staking rewards. First step is to make sure you’re operating on the latest version of the Nav wallet. You can download the latest version of the wallet (v4.0.6) from the downloads page of our website. You should be presented with a popup option to choose yes or no. This update also includes a way to cast your vote for the community fund on the homepage of the NavPi so you don’t have to go and edit your navcoin.conf file manually. We strongly urge users to update to the latest Nav Coin wallet and NavPi interface as soon as possible. 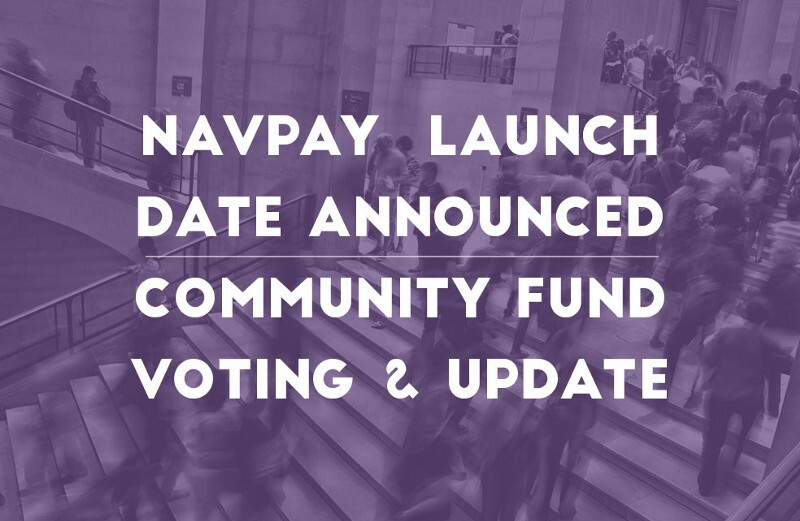 NavPi owners are a large part of our staking community and we want you to have your say in the Nav Coin Community Fund vote as well as garner from the latest Nav Coin features. This week — an update on the NavPay beta, the building of the NavChain prototype, a new NavPi batch and the release of the German Nav Coin website. Beta testing and bug fixing continues with only one bug left to fix on mobile safari and some minor enhancements yet to be implemented. We have successfully built and tested the iOS version of the app and have been busy preparing all the assets and and registrations required to submit the app to the Apple Store. We are not yet able to confirm the release date of the full public version of NavPay since some of it relies on App Store approval, but we are hoping to have all the development features finished at the end of this coming sprint. While the main features of NavChain (a working title) have been captured in the whitepaper which is undergoing internal review and feedback, we are also working towards creating a prototype of the NavChain daemon and network, to confirm what we have planned is feasible. Craig is travelling to Berlin once again to work closely with Alex in developing the prototype. They will spend 2 weeks before Christmas building the prototype and further refining the idea from the learnings made. More on this as the project unfolds. With the team growing, we have focused on implementing some great productivity tools this week to lay the foundation for the team’s further expansion. If you follow us on GitHub or watch the Github Discord Channel, you will have noticed a user called “NavTrello” beginning to create, comment and close issues. One of the major decisions we have made is to move our task management from GitHub to Trello. While GitHub is great for tracking code issues, we are a small team in which the members wear many hats and often tasks each member needs to perform aren’t directly related to a piece of software. To correctly capture, manage and analyse the many tasks each member undertakes, a more multi-purpose tool was needed. Trello is great for tracking work across multiple projects and non-software related tasks. We have setup bots on both ends, so new issues created in GitHub will post through to our Trello board where we can assess them and fit them into our workflow. We are also able to manage both the Marketing & Development teams workloads in the one platform which makes it easier for everyone involved. We have all the components for the next batch of NavPi arrived at the offices this week. We are working towards some UI improvements and a better way for users to clear out their orphaned stakes on the NavPi before we begin flashing the cards and put them on the store for sale. We have scheduled the NavPi improvements for this coming development sprint, so we are hoping to be in a position to release a batch of these to the public in early december. This week saw our marketing team ramp up efforts on the roadmap and develop some clear strategies to grow our community and brand awareness. We’ve started looking into targeting media relations and developing partnerships, as well as putting the appropriate toolkit together to build genuine relationships with key influencers in the industry. Other important tasks have been ticked off the list such a budgeting, writing press releases and developing a timeline of activities for the next few months. Also — as by request of our community, we’ve had a Nav team photoshoot! Stay tuned for real life pictures and little videos of us in the flesh in and out of the office. We released a little update about the Community Fund Vote earlier this week. With a huge amount of support from those wallets which have updated to vote, we have extended the voting period for another 2 months. The wallet currently says in the UI that the vote has ended, but please ignore that message, your wallet will continue to cast votes. We are currently sitting at around 70% Yes in total, with over 90% of those casting votes voting Yes. We are only a few percentage points away from passing the vote, so keep the votes coming. If you haven’t yet cast your vote, there is still time to get involved, please download the latest version of the wallet v4.0.6 and set your vote in your navcoin.conf file (votefunding=1 or votefunding=0). Alex has been hard at work building the community funding system, not just altering the stake rewards, but actually building the smart contract system which can be used by anyone to submit proposals and vote on the release of funds. We are aiming to release this onto the test net at our next minor version v4.1.0 and if the test is successful and the vote to implement the fund passes, deploy it onto the main network in version v4.1.1. This community funding system will of course help the development team to sustain their efforts, but the main thing we are excited about is enabling the wider community to get involved and get paid adding value to the Nav Coin ecosystem of products and services. We have had numerous periods over the last week when the block difficulty has been erratic causing slow block confirmation and transaction delays. After performing a lot of analysis and debugging on the blockchain and daemon around the time of these incidents we are confident that there is no malicious behaviour happening and this issue is arising from old versions of the core wallet attempting to mint blocks on the network. If you’re staking your coins check your wallet version and please update to the latest v4.0.6. If you’re not staking your coins, it will help network stability if you get your coins off the exchange or your thin clients and stake them in the Nav Coin Core v4.0.6 wallet or on an up to date NavPi. We will be implementing a fix to help with this stability in the next minor version of Nav Coin Core and if this issue continues we will release a patch that will block these troublesome old nodes from connecting to the network. That’s all for this week — talk soon! In this week’s update — Craig’s interview with The Crypto Lark, the xmas batch of NavPi’s selling out, and the NavPay launch date is announced. 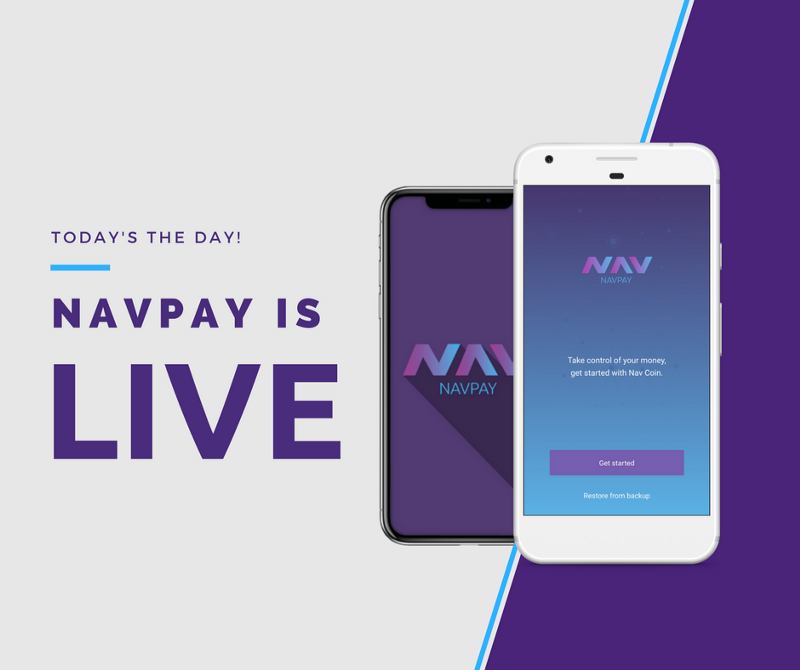 We’re gearing up for our NavPay launch! On the 20th of December we will be pushing this live — and this will be available on web browsers, the Android app store, and iOS (pending approval). NavPay is the easiest way to store your NAV, without having to set up a full node but still having the security of owning your private keys. It’s easy to use, comes integrated with NavTech private transactions, has the ability to set up multi-signature wallets, and more. We’ve been running the beta testing for the last 6 weeks to fix any bugs and make sure that it works on a range of devices. We’re happy with how this has progressed, and look forward to getting it live! This week Craig was interviewed by Lark on his YouTube channel ‘The Crypto Lark’. Here Craig and Lark discuss all of the latest developments here at NAV HQ and what we can be looking forward to including ADapps, NAV tech 2.0 and Polymorph. We’ve sold out our latest batch of NavPi’s in the Nav Store. This was a limited release so that we could get them out before Xmas — but we will be releasing a larger batch of NavPi’s after the new year, so stay tuned for more information. We are constantly working with new exchange partners to help promote Nav Coin to new communities and platforms. Over the last few days, there has been some confusion around one of those listings and the community initiative. After some discussion, we have been advised to not publish the details at this time. We aim to keep everyone in the community updated with developments, particularly those who have donated to the community initiative — but rest assured we are working our hardest to making this happen. The community vote is still running, so we just wanted to remind everyone to make sure they are staking the network, and have voted on the community fund. We have seen an increase in the number of non-voting stakes in the last week, which is likely from 1) new users in the network who don’t know of the vote, and 2) users who were voting but have stopped. The community fund which we are voting to implement has been implemented to the NavCoin testnet for everyone to try. The testnet stake rewards are reduced to 4% and there is 0.25 NAV per block generated by the staker and sent to the Community Fund Smart Contract. You can help us to test the proposal, voting and redemption smart contract features we have proposed to implement on the mainnet. We have created a new genesis block for the testnet, so if you’ve been using it previously, please re-sync once you’ve downloaded the 4.1.0 wallet. We have added a feature which allows the wallet to track the version number of the other wallets on the network. If your wallet detects a majority of wallets to be on a greater version number than its own version number, it will alert you that a new update is available. Aside from the early access features, the main priority for this release is to secure the network. Bittrex alerted us to some reported instability of the blockchain they were seeing and after some thorough investigation and we were able to find the cause and we have included a preventative security patch in this latest version of the wallet. The main changes have been to make improvements to the script check methods and we have also added the nTime & strDzeel parameters to the signature hash. This security patch will prevent the recently seen network instabilities moving forward and resolve the issues Bittrex have reported. It will also make these changes compatible with NavPay which we are still on schedule to release later this month. Making these security improvements to the script check is a change to the consensus mechanism and requires a majority consensus to be accepted on the network. We have decided the best course of action is to implement the security patch as a mandatory hard fork instead of waiting for a majority consensus to be organically achieved. The network will reject blocks and transactions from versions older than 4.1.0 from 11 December 2017 @ 11:00am GMT. The network will take some time to stabilize after the fork occurs, so we suggest not sending any NAV for up to 48 hours after the hard fork time. We will post a message to the community once we see the network is stable and we are starting to bring the exchanges back online for deposits and withdrawals. To help stabilize the network, please update to the new client before the fork time and stake your coins to mint blocks. To have a smooth transition to the new version, please download 4.1.0 and install it before the hard fork time is reached. If you're using the GUI you will be prompted to allow the wallet to rebuild the database. If you've running the daemon, you will need to run it with the -reindex flag before you will be able to use the new daemon. If you're using the NavPi there are some extra steps to get up and running with the new version. From the control panel page, click the update button and update the UI from GitHub. Run the updater script located at /home/stakebox/UI/libs/updater.sh or wait for the autoupdater to run if you are on version 1.0.3 or later. When you see the notice on the homepage of your NavPi stating that a new update has been installed, click the button to reboot the device. When your device has rebooted, go back to the control page and click the Reindex button and reindex the blockchain. Note that in some instances, it will be unable to reindex the blockchain and the wallet will unfortunately be required to resync the blockchain which can take some time. New genesis block for the testnet. Community fund enabled on the testnet. New block version structure. Rejects blocks with wrong version. Blocks will still signal version bits even after activation. Nodes with obsolete protocol versions get their messages rejected instead of being banned. Improvements in the Script check methods. Reason for messages being rejected are now registered in the log file. Signature Hash now includes nTime and strDZeel. Wallet is able to track other wallet’s versions and displays a warning when a majority has updated to a new version. New format of stake voting. Votings can be dynamically be pushed into the network. New RPC method ‘stakervote’. Adds ‘donatefund’ RPC method to donate to the community fund. Fixes a bug where a transaction could have a timestamp earlier than the outputs it spent. Fixes a bug where the staker thread could be interrupted. Fixes a bug which prevents node to start syncing at boot under some circumstances. The Nav Coin Community Fund has officially been approved! In fact we’ve had an overwhelming amount of positive votes since the majority of the network updated to the latest wallet version with the vote period completing at around 81% yes (above and beyond the 75% threshold). Nav is a community project and we believe that a community led system far better serves the interests of the project than private investment. It allows the project to retain autonomy over itself and empower members of the community to take charge of Nav Coin’s direction and help it grow. The raised funds are collected into a smart contract, and unlike other community funds they can only be released by two rounds of network voting. There is no single point of failure. No single entity owns the coins that are set aside, and only the community can choose which proposals are funded and whether the funds are released. The community fund will be extremely positive for the project and community and we are thrilled to be carving out this new milestone in the Nav story. Proof of Stake rewards will be reduced from 5% to 4% per annum. Anyone will be able to propose projects, budgets and initiate network votes to schedule funds. The Nav Coin Community Fund will be protected by the consensus layer — proposals will never be accepted without the positive vote from a large majority of stakers allowing the community to decide what is valuable for the project’s future. Unlike other funds which immediately release the coins when a proposal is accepted, our funds are locked when the proposal is accepted but are only be released in arrears by a second network vote when stakers agree the proposal was completed successfully. We are confident this double voting method will ensure that the proposals are completed to a high standard and it will protect funds being taken by anyone who doesn’t intend to complete their proposal. Proposals which fail to be completed by the submitter will have the locked funds automatically returned to the pool for future use. Although this double voting method is a somewhat slower process than existing community funds or the ICO model it offers a level of accountability, transparency and protection not yet yet seen in either. About 40% of the total NAV in the network (62mil) is currently used for staking. With a 5% staking reward, the network generates approximately 1.24M NAV per year. The 1% reduction in proof of stake rewards approximately equals the projected 260k NAV per year. This equates to about $1M USD per year (at the current price) to spend on community projects, the core teams development roadmap and marketing initiatives — which will be a huge boost to the project. Now that the vote has passed we will begin to build the voting interface and thoroughly test the mechanics of the fund. When the community fund is ready for the main net, it will be deployed into a new wallet version in a deactivated state. Once a large majority of nodes are running the new version, the community fund will automatically activate on the main net. The beta of the community fund has already been deployed to the NavCoin testnet in version 4.1.0. The testnet stake rewards are reduced to 4% and there is 0.25 NAV per block generated by the staker and sent to the Community Fund Smart Contract. We will aim to keep the community updated with how the testing progress, and gladly welcome any suggestions/ideas/feedback that you may have. Our goal is to make something that is easy to use — from being able to review the projects, to voting for them in only a few clicks. And having all of this integrated into your Nav Coin core wallet or NavPi unit. You can help us to test the proposal, voting and redemption smart contract features before they are deployed on the mainnet. We have created a new genesis block for the testnet, so if you’ve been using it previously, please re-sync once you’ve downloaded the 4.1.0 wallet. Creating and voting on proposals on the testnet is done from the command line only so far. We will release some instructions in the coming days on how to get involved and create, view and vote on proposals to help us with the test schedule. Thank you! The continued support we receive from our community is overwhelming and we are humbled to have such a dedicated community behind the Core Team and the Nav Coin project as a whole. We look forward to a new year with a deeper collaboration with the community, and exploring new capabilities within this exciting industry together. Take Control With NavPay — The Easiest Way to Safely Store Your Nav Coin. Today we are excited to be releasing our new light wallet — NavPay! With governments around the world continuing to show how vulnerable our internet freedoms really are, it’s more important than ever that users have the tools they need to safeguard their rights. NavPay is an easy to use wallet, that allows you to securely store your NAV. It’s the quickest way to safely store your coins, and ensure you’re in control of your private keys. While our previous mobile wallet was based off the Electrum wallet, we made the decision to switch to a fork of CoPay — as it gives us more features and a much better user interface to work with. NavPay is available to download on your Android, in your browser, and soon to be on iOS devices. All your private keys are stored locally, with nothing stored on the website/server to ensure your NAV stays safe. NavPay creates hierarchical-deterministic (HD) wallets, which gives you a 12 word master password and allows for secure in-app wallet generation and easy backup. It’s the first mobile wallet to be able to send private payments using NavTech, so that there is no connection between sender & receiver. Multi-signature wallets, which allows you to add in extra layers of security, or create shared wallets with friends or family. Integrated with Changelly to allow you to swap between different coins within the app. Device-based security — all your private keys are stored locally, and not sent across the internet. An address book feature, which allows you to save your friends details into your wallet and make it easier to pay. Control multiple wallets in one app, such as one for your personal funds, and a combined one with your partner — so you get ultimate freedom over your finances. NavPay is a light wallet, and has been designed to be the quickest and easiest way to safely store your NAV outside of an exchange. There’s no blockchain to download, it’s just a quick & simple way to take control of your private keys. 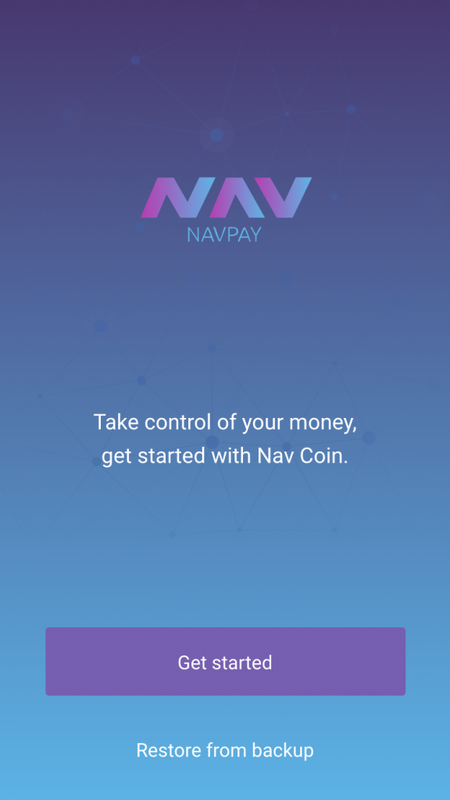 While we would recommend people eventually move to the Nav Coin Core wallet or NavPi (so that you can receive 5% rewards per annum), we see NavPay as being ideal for first time users who aren’t that experienced in blockchain. Coins sent through a private payment using the GUI were returned to sender under certain conditions. This patch ensures the anon destination data meets the structure expected by a NavTech server. Version bit used to signal Segregated Witness activation is now correctly set. 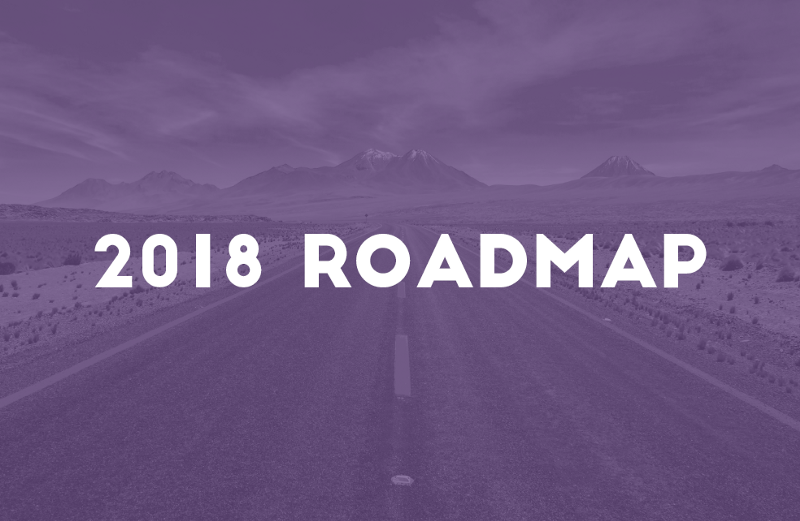 Our 2018 Roadmap Is Live! We’re excited to be releasing our 2018 roadmap with you this week. The NavCore team has been working hard to formulate a solid strategy and clear vision for NavCoin. The release of our 2018 roadmap is the first stage of sharing our wider vision. We feel this roadmap supports our ‘big picture’ mission of simplifying cryptocurrency, and forms a clear path forward for the future. As part of this, we are hugely excited to formally introduce ‘Valence’, our blockchain application platform. This in itself is a huge project, and will feature many more projects than we’ve released in this initial roadmap which will be published throughout the year. We anticipate that there will be a lot of questions, so we’ll be creating and publishing content to help explain our roadmapped projects in more depth. This content will be supported by the release of the Valence Technical Whitepaper in the coming weeks. Our upcoming Strategic Plan will also help shine a light on the direction we are taking. This is just the beginning. We’d like to address the confusion in the community that was generated by our social post yesterday in regards to NavPay, Apple and the App store. Last December, the NavPay App was rejected from the App Store due to some minor technical feedback. We have since fixed all the technical issues Apple had with the application and those have now passed review by the App Store. There is currently only one outstanding item holding us back from being listed in the App store — that NAV needs to be added to the approved digital currency list. We are in talks with Apple about getting NAV whitelisted. There are already quite a few digital currencies approved for iOS, so we are hopeful that this will be a speedy and relatively easy process, but we are unfortunately still at the mercy of the App Store until this approval is secured. If we can get NAV approved for use on iOS, it means that NavPay can be listed in the store, and any iOS app will be able to use NAV in their app if they choose to adopt it. We are doing our best to make this happen! So stay tuned for our progress with NAV approval. Until NavPay is approved in the App Store, you can still use the NavPay web wallet on iOS devices. For an optimum experience, we recommend using Chrome. Last week one of our senior developers, Alex, gave a lecture at the Beuth University of Applied Sciences in Berlin. 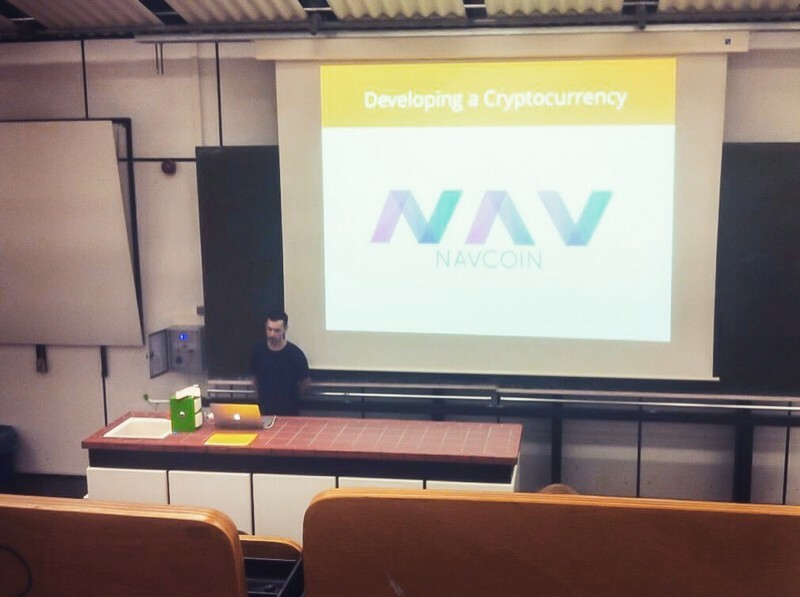 Alex presented to large group of students on the basics of cryptocurrencies, NavCoin, and blockchain technology. We believe education is hugely important in the cryptocurrency industry, and are excited to have team members contributing to the spread of knowledge on both Blockchain and NavCoin. Getting the next generation of developers excited by the future of blockchain is of benefit for everyone. With so many big projects in the pipeline, we’ve been spending some time working on designing and implementing scalable internal team processes. Our goal is to create robust development, build and deployment practices amongst the development teams while fostering a similarly considered approach to our marketing, administration and business strategy teams. We are in the process of engaging experts in each of these branches to review our processes, and advise us on how we can improve them to keep things running smoothly as we look to onboard more team members. That’s it from the NavCore team this week. We hope you all enjoy sharing in our vision of where we are taking NavCoin and Valence in the coming year. Exciting times ahead! Another exciting week at NavCoin HQ as we prepare to release more information on our 2018 roadmap, upgrade the NavTech Subchain and plan our team expansion. Since the release of the roadmap last week – we’ve seen a lot of excited and positive responses, as well as lots of questions. We understand the need for more information regarding the complex nature of our future projects and rest assured, we hear you and have you covered. We’ve started writing a series of content that will explain our major NavCoin projects and the Valence Platform in a non-technical way. Covering everything from why we are building Valence, how NavCoin leverages Valence to power our next-gen NAV features, why Valence is different from other blockchain app platforms, and how we strategically plan to grow NavCoin and Valence into industry leading platforms that are widely adopted and used. There is a lot to communicate and we are going to get started straight away. The first article will be released next week, and the series will continue to be published as it’s ready over the coming months. We will also have the Valence Technical White Paper to share in the next few weeks, so keep an eye out for that. We are continually grateful for the overwhelming interest in our project and are looking forward to sharing the details with the community as we move towards the milestones on our roadmap. We want to ensure that this content helps everyone understand where we’re heading, and gets everyone as excited as we are. NavTech uses our secondary blockchain – the NavTech Subchain – to store the encrypted data used to fulfill the private payments of NavCoin. We’ve recently upgraded the Subchain to be aligned with the current NavCoin source code and restarted its blockchain. This means it now has all the same modern technological benefits which NavCoin received when we upgraded the NavCoin source code last year. We’ll be putting the servers into maintenance mode over the weekend to roll this new Subchain out for the network. You’ll be able to see the server status on our website as we run the upgrade and we’ll ping out notifications on our social platforms. 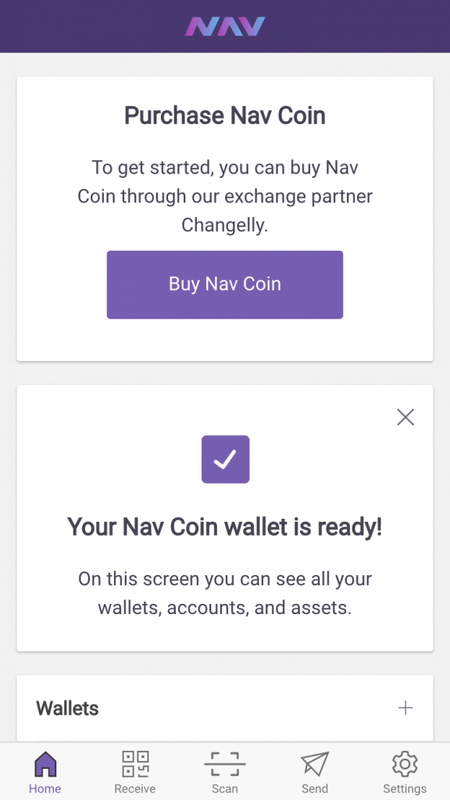 Our Changelly integration in NavPay will now also be working, so you can easily start up a NavPay wallet, and purchase NAV inside our mobile app. Purchasing NAV (and other altcoins) through their platform with USD still incurs quite a lot of fees by their credit card processor. To get a better rate consider purchasing BTC with USD and then trading the BTC for NAV. That’s all the news we have to share this week. There has been a lot of solid progress made this week as the new team members start contributing to the main projects they will be working on. We will keep you updated on each project’s progress as milestones are achieved. Don’t forget it’s all open source so you can follow along on the NavCoin GitHub and even get involved! This week the NavCoin Core Team (NavCore) have made continued progress across their range of current projects. NavPi Kowhai has seen a significant increase in GitHub activity as Mike gets up and running as a full time contributor. As well as helping Mike get started, Paul has been busy setting up development containers so all new developers can get up and running faster. So far he’s set up dev containers for NavCoin Core, NavMorph and NavPi Kowhai. Paul is also working to investigate upgrade and maintenance paths for the main repositories which have been forked from other projects, NavCoin Core and NavPay. This will allow them to be kept more easily updated as new versions get released on the original repository. Matt has been working to get Rowan started on the NavMorph project, as well as some helpful peripheral tasks like flashing NavPi SD cards and writing articles for the knowledge base. Rowan has started reviewing NavMorph firstly to get an overview of where it’s at, how he can contribute and what needs to be audited before moving forward. As well as NavMorph, Rowan has been in talks with community moderator mntyfrsh about strengthening and standardizing the server architecture of the primary NavCoin services that the NavCore Team host are run on. Alex continues to make progress on NavCoin Core with about 5 pull requests being completed this week. The rest of the NavCore team are busy working with Alex to increase their understanding of the NavCoin Core code base and support his pull requests by performing code reviews and approving the merges. The NavCore team are also joining the wider community efforts to test the Community Fund for any bugs or improvements that need to be implemented. Once the community is happy it works correctly, it will be added to the main network through the built-in majority network consensus approval process. You can see all of this progress on a daily basis if you follow our GitHub repositories. The progress indicators on NavCore’s project roadmap have been updated on the website. The NavCore team remain fully committed to furthering the development of NavCoin, all its projects and initiatives. This should be abundantly clear from our actions and expansions over the recent months. It’s a big job though and we can’t do it all by ourselves. We need your help. NavCoin is a community initiative. NavCoin ran no ICO or token sale to fund its development. The NavCore team is entirely comprised of and self-funded by community members and individuals who believe in the NavCoin project. The NavCore team contribute to and try to guide NavCoin as best they can, but NavCore is in essence a part of the NavCoin community and ultimately NavCoin’s future is in the hands of the entire NavCoin community. It’s this position which has made Bitcoin so strong, and it is what will ensure NavCoin is too. 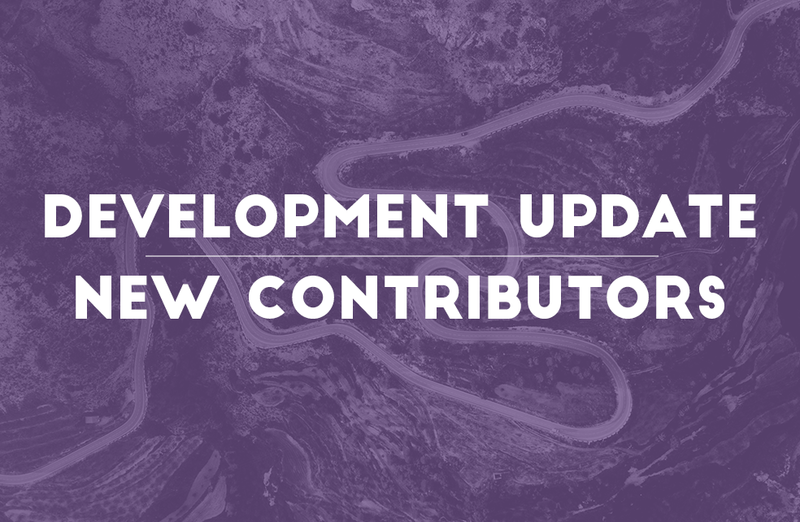 In the spirit of being an open source project, we are working on ways to further decentralize the stewardship of NavCoin beyond having all the NavCore projects open source. 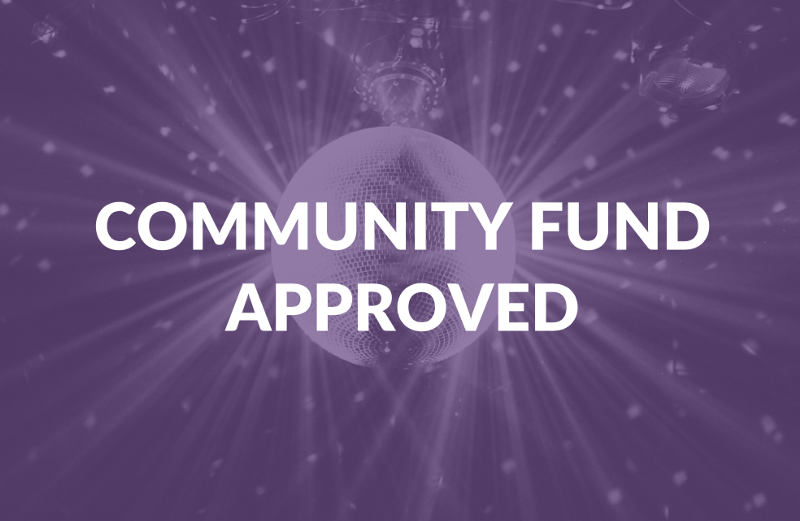 The Community Fund will be a big help to all of the NavCoin projects and initiatives of the wider community. So make sure you help us test it and get it across the line! We also want to drive a higher level of community involvement in the websites and social media accounts which NavCore manage. For obvious reasons we can’t simply make the NavCoin twitter password public or add every community member as an Admin to the NavCoin website, but we do want to make sure the community is fairly represented through these channels. For now, the best place to get in touch with the NavCore team about this is through discord. If you’re running a NavCoin competition, let us know and we’ll tweet about it! If you’re working on a cool NavCoin project, let us know and we’ll add it to the project roadmap! If you want something changed on the website, then let us know and we’ll update it! We’re currently investigating more transparent and democratic ways to get the community involved in these processes, so there will be more to come on this in future updates. The NavCore marketing team have released an update on Reddit, as a way to give you a sense of what they are working on at the moment and what’s coming up. The NavCore marketing team are looking for two new team members to join them in Auckland — a UX/UI designer, and a technical content writer. These additions will increase both the quality, and the volume of marketing activities from the team. There is one more article in the Valence introduction series to go, and once that’s completed they will put their focus back onto NavCoin. The team is in the process of finalizing their vision & strategy for NavCoin, and are taking the time to get it right. This will be released as a content series, and will give the community a better view on how NavCoin fits into the crypto ecosystem, and how it will stand out. Hey everyone! We just wanted to post an informal update on the marketing team and what’s on the cards for the near future. Expanding the team - we’re in the process of hiring some new members to join our Auckland team. We’ve got a lot of tasks on our to-do lists, so this will be a huge benefit and allow us to get a lot more done. Initially, we will be adding a Graphic Designer / User Interface expert to help create more visual content for our marketing activities, and refine our websites/application interfaces. We’re also looking to hire a technical content writer to contribute to our ongoing articles and marketing content. Building better processes. It’s been a challenge trying to balance everything we need/want to do, and the result is that our team has been spread thin. So we’re building in team processes to ensure that our social activity & community engagement get the attention they deserve. Valence introduction series. Our immediate focus is finishing the Valence introduction series. We want the community to get an idea of what it’s all about, as a lead up to the release of the technical white paper. NAV Values/Mission/Strategy articles. This has largely been defined, and we are now just refining this with a few of our advisors. Will be next in line to be released after this initial series about Valence. NavCoin & Valence branding. Working with a specialist brand designer to refresh the NavCoin branding and create the visual designs/assets to bring Valence into the family. Website update/refresh. Updating and reorganizing the content on the website to be more engaging and up-to-date. We’ll be starting with the English version of the site, and then will roll it out across different languages (this has been a very manual process in the past, so we’re looking into ways to automate this). This will be an ongoing task over the next 6 months. Public Relations Activities. We want to get our brand into the wider public attention, so this is about properly crafting our stories and reaching out to journalists/influencers. Product development. Working with the developers to refine our products, and ensure they are user-friendly and beautifully designed. The immediate ones we will be working on include NavPi 2.0 and NavMorph. NavCoin knowledge base. Continuing to produce content for the knowledge base, so that it becomes an even more useful hub of information. Community engagement. As we mentioned, we’re working to improve our processes to better manage our engagement with the community. 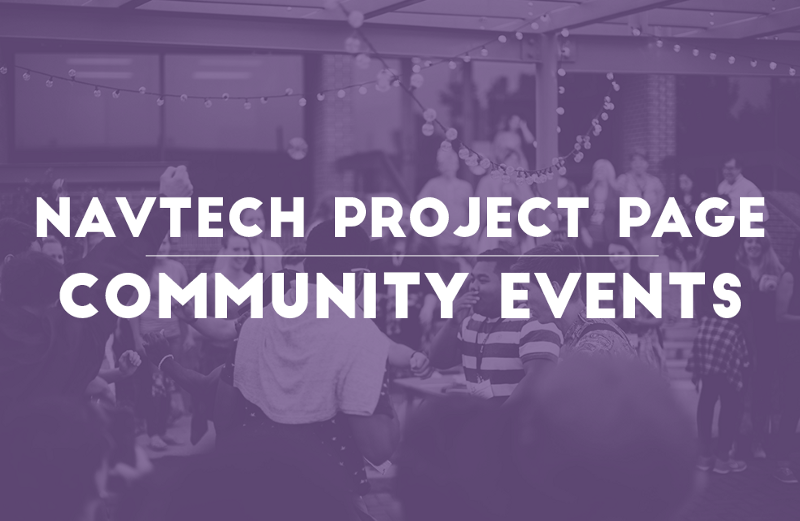 We’re aiming to do more projects that tap into the energy that our community has for NavCoin, by working more closely with the moderators to help these projects along. Weekly updates. We’re keen to hear the communities feedback on our weekly reports, so we’ll aim to put out a survey in the near future. This week the NavCore team has launched a new page on the website which provides some top level information about NavTech. 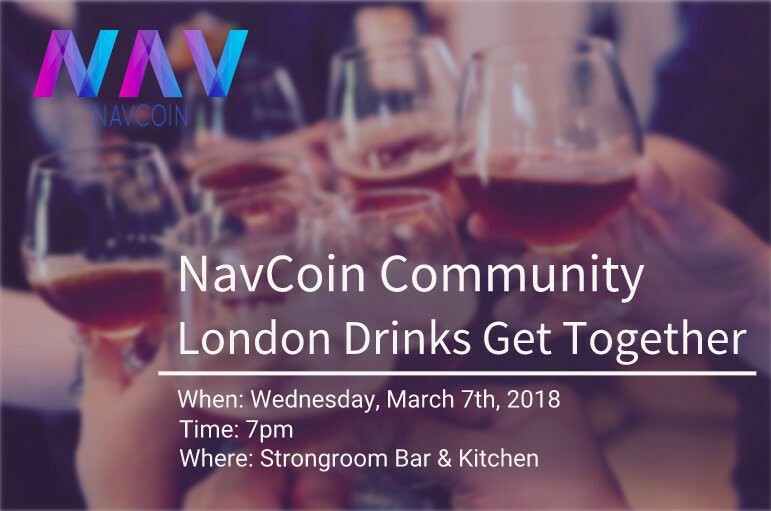 A community event is on the horizon for London NavCoin enthusiasts. And we get you up to date on all the development projects happening in the community. There’s a light update to the NavPi and some scam prevention tips for the community. The NavCore team is continuing to build out the project pages on the NavCoin website. The aim is to make it easier for newcomers to learn about the range of NavCoin projects by building information pages for each of them. There are now standalone pages for NavPay and NavTech, and there will be more rolling out over the next few months. On the 7th of March, there will be a community get together in London. This is the first meet up in the UK and is being organised by ‘Spiritar3’. It’s sure to be an amazing night and a great way to meet other community members. If you’re in London, definitely try and get along! NavCore have released a minor update to the NavPi image which bumps the version to v1.0.8. There was an edge case bug reported where manually saving the “main address” then restoring a different wallet from backup would not reset the saved main address that was displayed. The number of affected users is negligible, but NavCore wanted this fix deployed before the latest batch of NavPi were shipped. This update is a simple patch to the UI which can be applied to existing NavPi devices by updating the user interface as explained in our knowledge base. If you are new to the NavPi and want to build your own raspberry pi staking unit, you can download the latest image from the NavCoin website. Or there are still some pre-built NavPi available for purchase on the NavCoin Store. Things are starting to pick up momentum at NavCore HQ as the new NavCore team team members find their feet. They’ve made progress across all the major projects in their current pipeline including NavPi Kowhai, NavMorph and NavCoin Core. Parallel to this, they’ve been working on improving development processes, adding new testing suites, defining upgrade paths for forked projects and doing a lot of peer programming. Alex has been spending time with the new NavCore Auckland members walking them through the NavCoin Core source code to get them up to speed. They’ve also started working towards upgrading and consolidating the existing server infrastructure for NavPay, NavTech and the NavCoin websites. They are working with mntyfrsh who is a cloud infrastructure expert to design a scalable solution for these services. There will be more to report as the plan develops. Other groups in the NavCoin community are also making progress on some cool new projects. Sakdeniz is working on a new wallet interface for the NavCoin Core daemon that will give an alternate fresh look to the desktop wallet using VueJS. You can check out a static preview of the interface he is working on at the navcommunity website. Prodpeak is working to port bitcoinj for NavCoin to power an alternative block explorer written in Java. This will offer redundancy if there are any issues with the current cryptoid block explorer. Both these projects have been added to the NavCoin project roadmap as we start to include some of these other projects amongst the core teams efforts. There are a lot of scams going around at the moment that impersonate accounts and ask for users to donate coins, particularly on Twitter. NavCoin has been the target of a scam this week where an account impersonating us would ask for ETH donations. We have done everything we can to report this user and stop anyone getting scammed, but it’s a good time to remind everyone of our policy on donations. The NavCore team won’t ever ask for donations/coins on social media channels. This includes Twitter, Reddit, Discord, Facebook, Instagram, Instagram and Medium. The only place that donation addresses are located is on the NavCoin website. This week again there has been steady development progress across the main layer two applications which the NavCoin Core team are building on top of the NavCoin protocol. With the main APIs for the NavPi Kowhai project finished, Mike and Craig have spent some time planning the user interface to figure out how it will fit together. This includes planning out the primary user flow and the component usage for new Dashboard, Wallet, and Settings views. This user experience flow document will be published to the wider community next week as we make some final refinements on how we see the minimum viable software working. Rowan and Matt have continued their work on NavMorph as they refine the existing code base, update it’s unit tests and plan the next phases of the project with Craig. Alongside NavMorph Rowan and Matt have also been making improvements to NavPay including adding alerts to notify the user if a new version is available, push notifications, QR scanning on Safari and preparing NavPay for use as a progressive web app. 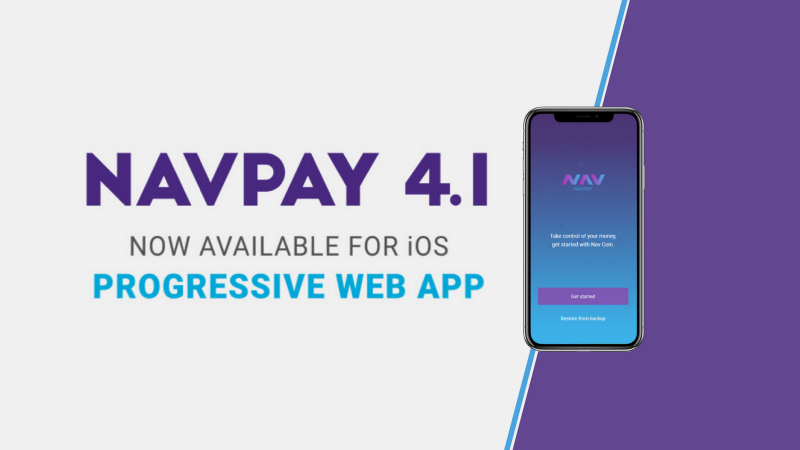 Having NavPay available as a progressive web app gives users more options for how they use NavPay on devices which are as yet unsupported by the bundled versions as we still grapple with iOS app store approval. Paul and Alex have been focused on the NavCoin Go implementation which will allow for the Lightning Network and Atomic Swaps to be used on the NavCoin protocol. There is a bit of planning to be done in regards to how the code is kept up to date with upstream changes and potentially simplifying the number of navcoin-core codebases the NavCoin Core Team maintains. Beyond NavCoin Go, Paul has been working to get a static NavCoin site up and running to provide an easier way for all NavCoin’s community members to have their projects and news published and represented. When completed, community members will be able to add and update content on the site by simply submitting a pull request with the changes to GitHub which will be tested and approved by community moderators. NavCoin Engineer Craig MacGregor’s software development company Encrypt S has secured two new hires which will be contributing to NavCoin projects. Firstly John Darby, a Senior Digital Strategist with decades of experience at some of New Zealand’s top advertising agencies. John is an experienced technical copywriter, content strategist, video director and social media expert who will assist with a wide range of content creation and digital strategy across the projects the NavCoin Core team are involved in. His primary focus is to help craft the navcoin.org website, social posts, articles, video scripts, and white papers. The second hire is Carter Xiao, an experienced user experience / user interface designer with a passion for cryptocurrencies and the social benefits they provide. Carter has years of design experience and a wide range of skills including 3D, motion graphics and web development. He will be focusing on fine tuning the user experience of projects like NavPay, NavPi and NavMorph as well as helping to create videos, infographics and social content that bring to life the NavCoin ethos of “Simplifying Cryptocurrency”. 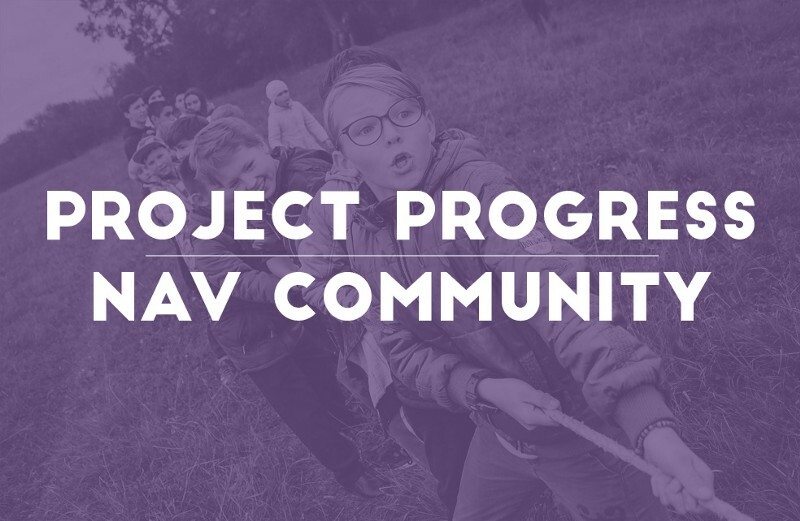 A new NavCoin community website created by @SakDeniz has launched recently, where you can propose and vote for community funded projects, ask for support on the forum as well as view the wide range of community-led efforts. The NavCoin Core developers encourage all of the wider NavCoin community’s efforts to showcase and further develop NavCoin and it’s open-source ecosystem. Check it out! Are you a business and that accepts NavCoin? “NavCoin accepted here” stickers by Eldar are now available for order through the RedBubble merchandise site! 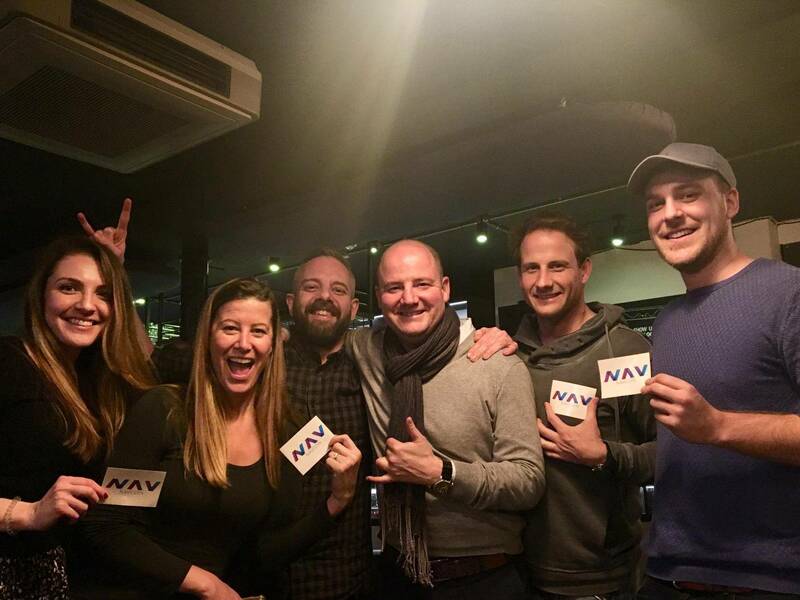 The NavCoin Community Meetup in London was a success with fellow NavCoiner’s getting to know each other and talk all things NavCoin. Check out this great picture from the evening. Special thanks to Spiritar3 for putting this community event on. NavCoin community member Jonathan, is hosting a NavCoin meet up in the Netherlands in early May. If you are interested in going to this event please fill out this form to help him formalise the details. NavCoin Italia reports on Reddit that a specialist medical clinic in Rome has begun accepting NavCoin. NavCoin Italia has been very active lately — so make sure to follow them and keep up with all they’re doing. Meanwhile at the other end of the retail spectrum check out NavCoin being accepted by these enterprising crypto enthusiasts at a flea market in Germany. Using NavPay they’ll see their payment come through almost instantly. Have you seen anything similar in your town? Jonathan (on Discord) has been experimenting with button designs using the NavCoin colour palate and different angles at the sides. It was great to see so much positive feedback from other members of the community. Here is just one of Jonathan’s options. Beekart (on Discord) has been giving his design and illustration skills a good workout, creating banners featuring original hand drawn characters. What’s more in the spirit of our open-source decentralised community Beekart has made his work freely available to the community. Check it out on the NavCoin page on Reddit. 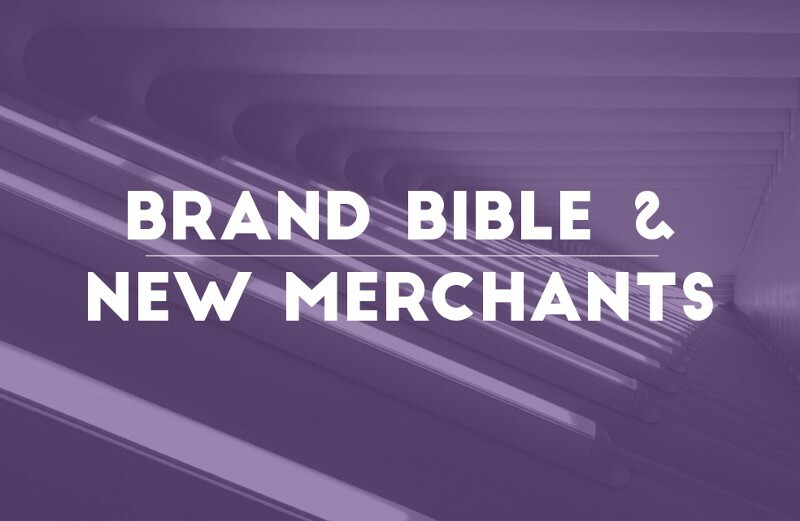 The brand bible sets out the Core Media and Content Creators suggestions on typefaces and how to use them, it displays the brand’s colour palate, and gives useful tips on how to create visuals and write with the NavCoin tone of voice. It’s hoped that having a brand bible will make it easier for you to get started on creating your own content for NavCoin. It’s almost finished, and will be available to download soon from the NavCoin Community Hub. The content collective have also been refining the ‘Core Developer’, and ‘Core Media and Content Creator’ manifestos. These documents detail the beliefs NavCoin core agree to uphold as members of the NavCoin community. Once they’re completed they will also be available on the community site. Look out for them soon. The NavCoin Core team are also looking to rename the NavCore community hub website to make it more clear what the purpose of the website is. NavCoin.org is aiming to be information related to the protocol — how it works, the technical information, and documentation. The community hub (NavCore.org) on the other hand is more focused on community efforts — such as which projects are being worked on, and how to get involved. So please submit your ideas for domain names to our Discord or Reddit channels — the only requirement is that the domains are available for use. 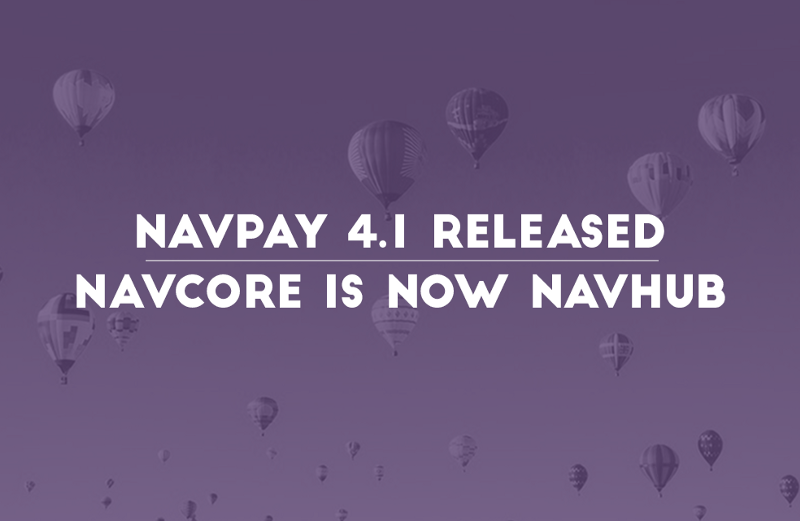 They’ve also been preparing content for the release of version 4.1 of NavPay — to help let people know what’s changed, and where to go to download it. NavPay is now available to download on iOS devices. While Apple is going through the process of approving the app for the iTunes store, NavPay has been turned into a Progressive Web App that saves to your home screen for easy access. 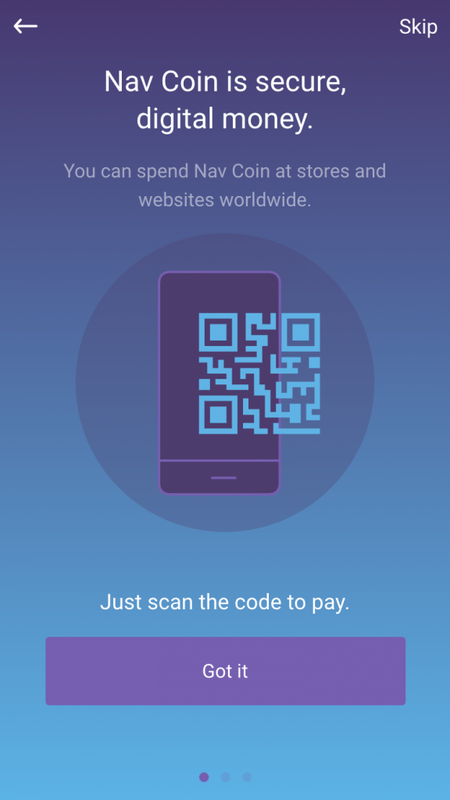 On a your first visit to https://navpay.navcoin.org using the latest iOS version (11.3) you’ll be prompted to download the Progressive Web App version. If you have an existing wallet, the download button can be found in Settings at the bottom of the page. To improve your security you’ll be prompted to encrypt your wallet, and if it’s unencrypted get you’ll warnings to remind you to secure it. Control of your privacy is enhanced by the option to add custom NavTech private payment servers. Hosting is faster and backend servers have multiple backups. 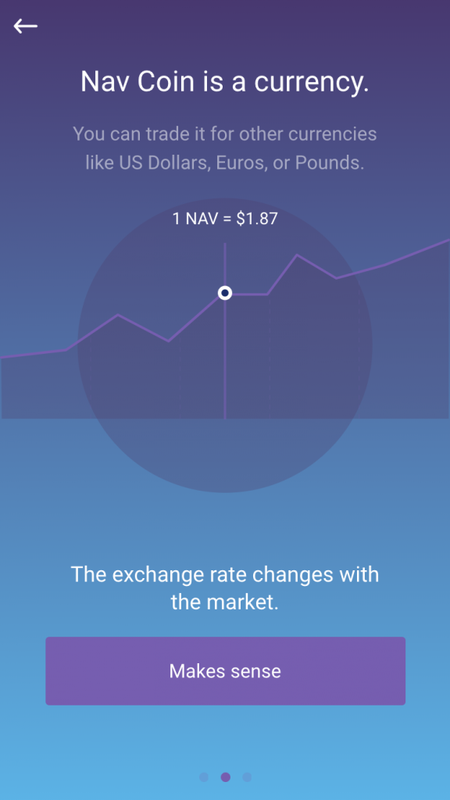 There are a number of UI fixes and improvements, including making it easier to use Changelly to purchase NavCoin. Do more with QR codes. The speed and accuracy of the QR scanner has been improved, and you can now use a QR code to backup your wallet. This makes it easy to transfer your wallet from an old phone to your new one with this new feature. The “Get Involved” page on the NavHub website has been redesigned, and a set of brand guidelines have been released. Developer and Content Creator manifestos that clarify roles and responsibilities are almost ready to share. Guides for onboarding merchants and charities will be available soon. Work is progressing on better developer documentation for the NavCoin protocol. The Community Fund launches in the near future. It’s the Sakdeniz show this week. He created these awesome animations using Windows Movie Maker, and is happy for everyone in the NavCoin community to use them on social media. Click the ‘Share’ tab under the video player window to get an embeddable link to the video. Check them out and be inspired. The Netherlands meetup was held on Saturday in Utrecht. Well done to all the community members involved for making this community initiative happen. The NavCoin Core protocol 4.2 is almost ready to go. This is a big update which kicks off the community fund accumulation amongst other things, so look out for a blog post in the near future which will outline the key changes you need to be aware of. Helping curate the NavHub website can be complicated if you’ve never used GitHub before. A step by step tutorial on how to use Github and contribute content to the NavHub site is nearly ready to go, and a new content management system (CMS) for the NavHub site is being created. The CMS is based on GitHub and makes it easy for anyone to add articles to the News section without having to install development tools. We’re close to releasing a redesign of NavCoin.org as a static site so the community can contribute to it also. As part of the redesign process the full wallet downloads laundry list has been added back to the “All Downloads” page on the NavCoin website. The new NavCoin Paper Wallet version was added to paper.navcoin.org. A Paper Wallet is great option for cold storage offline or giving NavCoin as a gift. You can view the links to the paper wallets on the downloads page below. The NavCoin core content creators also released their brand guidelines this week. It’s aimed at enabling the community to create their own NavCoin marketing material. It’s full of useful tips and examples to make it easier to create a consistent look and feel for your work on NavCoin, without needing to reinvent the wheel. The next stage for this is to build an asset library to house marketing assets, that anyone can contribute to. By making all them simple to find, it will be easier than ever to share and post about NavCoin on social media. New multi-argument -ntpserver= to allow the user to manually specify servers. New argument -ntpminmeasures= to allow the user to specify the req. min. of measures. New argument -ntptimeout= to allow the user to specify how many seconds should we wait for the response of an ntp server. An additional network "devnet" is added. URIs of the format navcoin:http://domain/something/?a=navcoin_address&m=some_message will make the wallet to sign "some_message" and return the produced signature as a POST request to the URL specified in the URI.